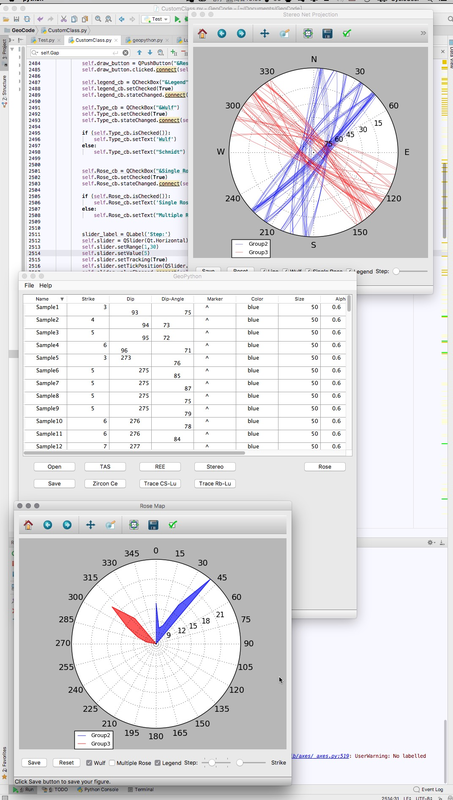 GeoPyTool can be used as a module inside Python, and can also run as a standalone application. Packed up executable files are provided for Windows and MacOS platform. Click here to get Download links. Unzip the zip and keep all components there. Make sure that the whole unzipped folder is under an English path. 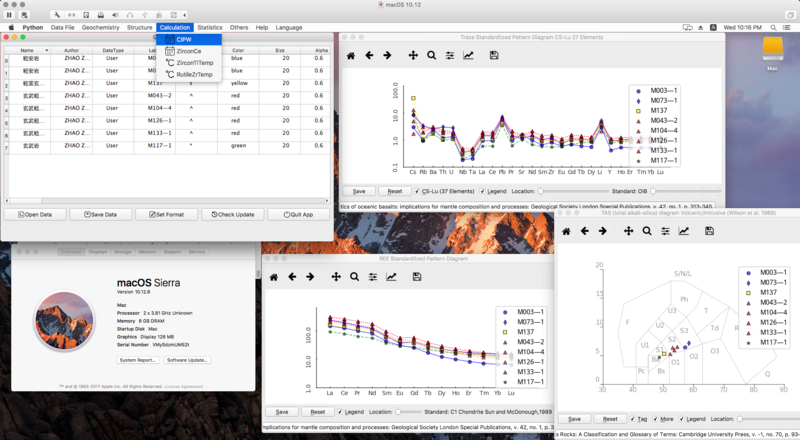 On macOS, everything is extremely easy to use GeoPyTool. 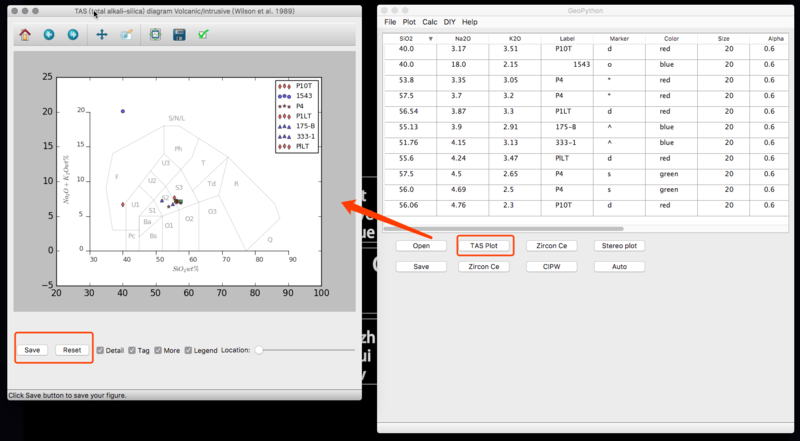 Just download and unzip the file, then double click on the GeoPyTool.app file, you will find the APP available as the following picture shows. 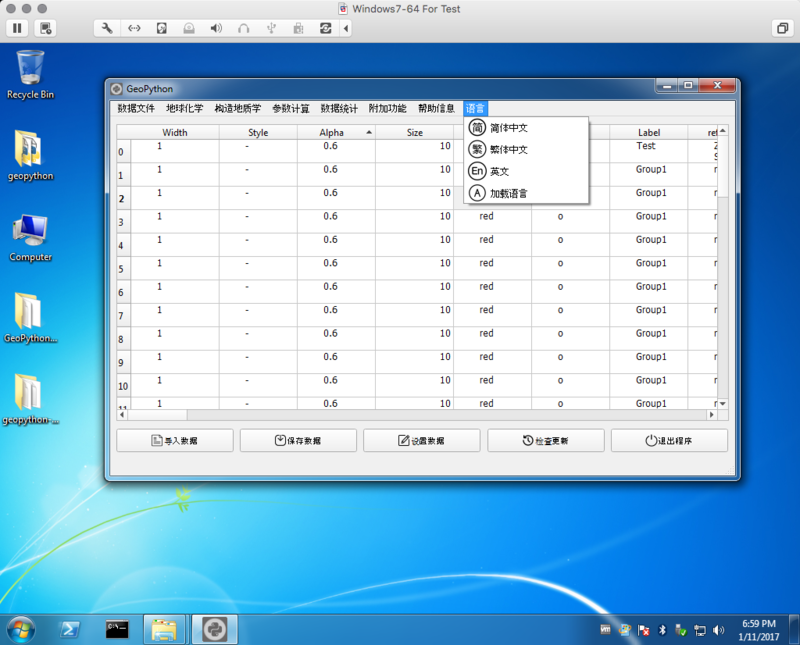 On these modern Windows platforms, everything is also extremely easy to use GeoPyTool. Just download and unzip the file, then double click on the Rungeopytool.bat file, and make sure that you don't delete any file form the unziped folder because they are all required by the program, then you will find the APP available as the following picture shows. 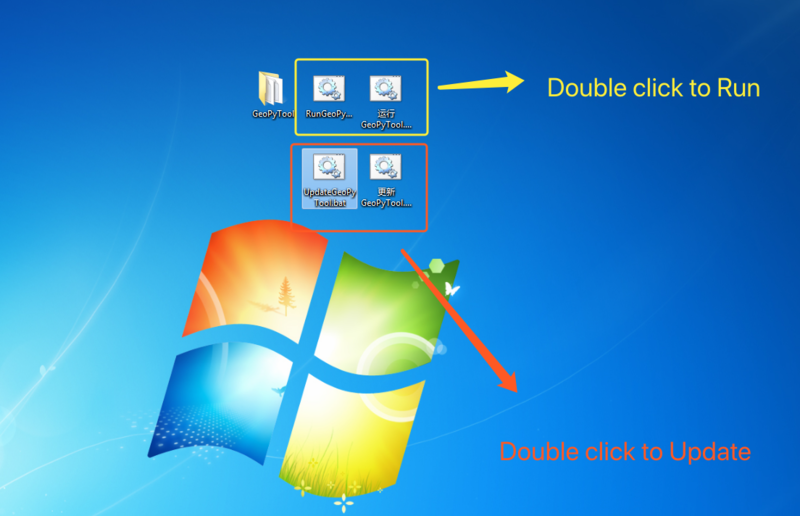 Of corse, you must find that the screen shot above is actrually from a Windows 7 virtual machine. That's right, you can obviously use GeoPyTool on Windows 7, on which some system patches need to be installed. You need to install the SP1 of Windows and then install KB2999226 and the Visual C++ Redistributable 2015. If you are using Windows 7 without the SP1 package installed, there might comes anapi-ms-win-crtrelated error. So believe me my friend, just install these patched below, they won't harm you after all. 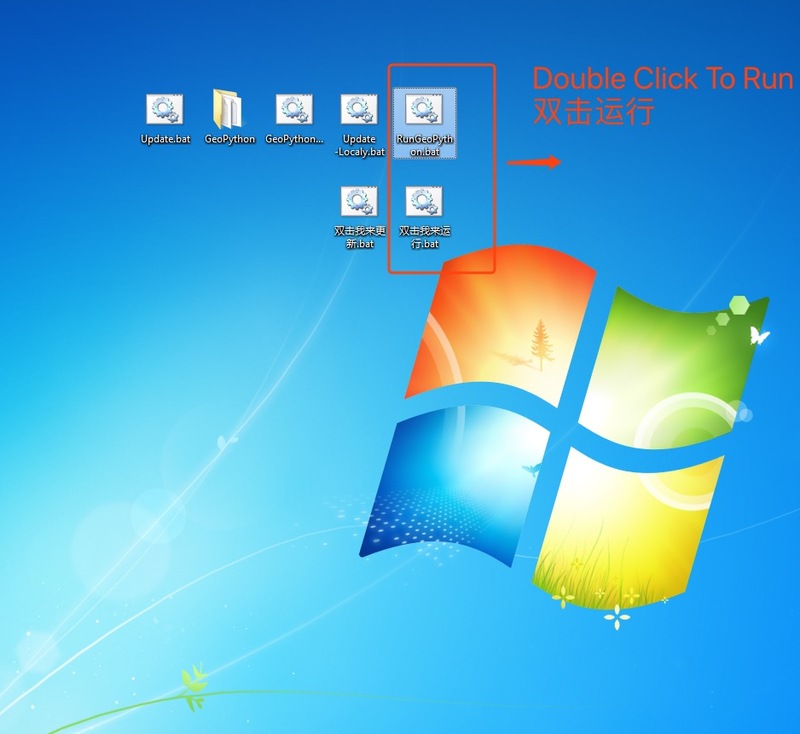 The SP1 package of Windows 7 can be found at here, the official website of MicroSoft. The installation packages of KB2999226 and the Visual C++ Redistributable 2015 are already contained in the Zip file of GeoPyTool for Windows, and can also be found here: 32 bit Windows7 ，64 bit WInodws7 . I am really a sweet guy, isn't it? So if you encounter any api-ms-win-crtrelated errors, please check those installations first. I failed many times on both XP and Vista, and I think there might not be a lot users of these two antique systems. If you are using one or both of them, please be good to yourself to update you old PC to at least Windows 7 SP1 or try Linux on your antique computers. My advice is that we should not waste our life on those systems that are not even supported by their developers and manufacturer. So, if you still want to run GeoPyTool on those two old systems, good luck and good bye. Go to the location inside the app file, GeoPyTool.app/Contents/Resources/UpDateGeoPytool.Double click on this file neamed UpDateGeoPytool at GeoPyTool.app/Contents/Resources/. 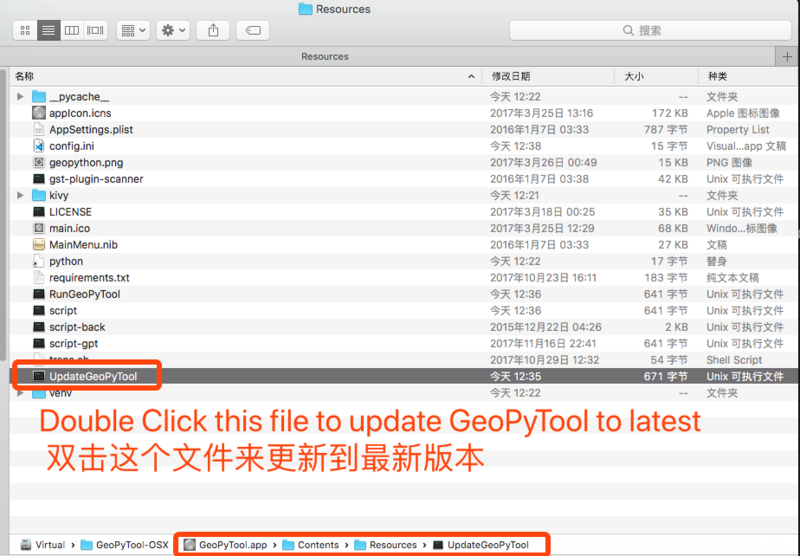 It will update the GeoPyTool inside your GeoPyTool.app file. Remember that never modify any files directly under the same folder unless you are an expert on dealing with Python. Double click on the Update.bat file to run update. 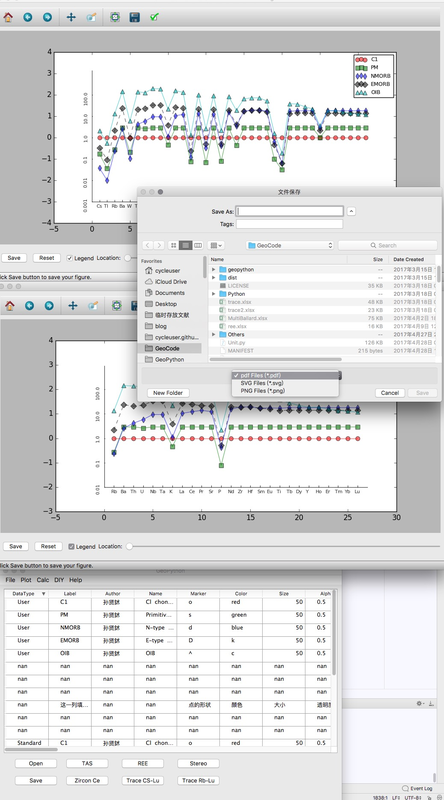 It will update the GeoPyTool inside your GeoPyTool folder. Remember that never modify any files directly under the same folder unless you are an expert on dealing with Python. 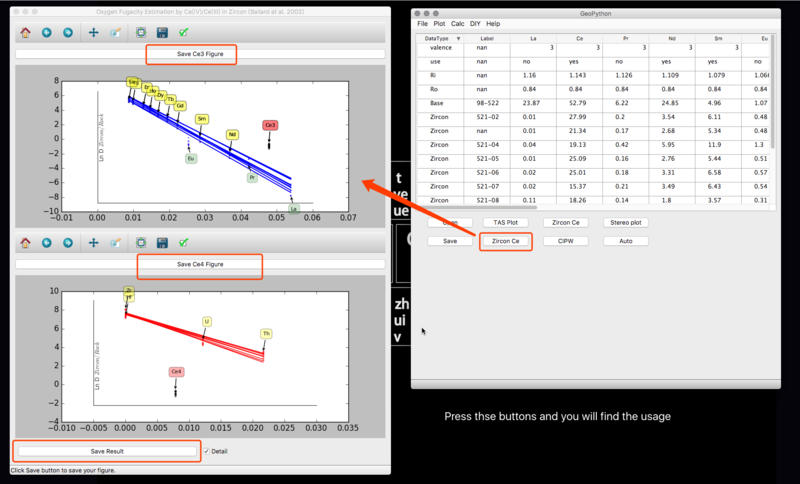 All these details in GeoPyTool are the same as those in Matplotlib becasue that is what GeoPyTool used to visualize data. Visit our BBS https://github.com/GeoPyTool/GeoPyTool/issues and write a post to describe your problems in detail. We will response as soon as we can.